Board Certified Acupuncture and Chinese Herbal Medicine practitioners providing the finest evidence-based, natural health care services in Chicago. 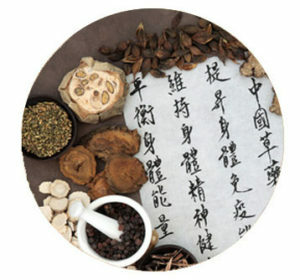 As a client of Health Traditions, you will receive expert integrative consultation in Chinese medicine and personalized herbal prescriptions to treat illness and improve your health. We also provide individualized acupuncture sessions and include accessory techniques such as motor point needling, cupping, gua sha, moxabustion, and electrical stimulation, as well as private instruction in qigong, a system of exercise that allows individuals to access their energy system at home in between treatments. The experienced and caring practitioners at Health Traditions are part of the prestigious herbal medicine lineage of the great Qing Dynasty physician, Dr. Tian Heming from Sichuan Province, China. Our office is centrally located in Chicago, Illinois – providing established healing and wellness services to people with myriad treatable conditions. Health Traditions Acupuncture and Herbal Medicine Clinic offers you a wide variety of natural and proven options to treat disease, alleviate suffering, and improve your health naturally without drugs. WE ARE NOW ACCEPTING INSURANCE! Call 773-470-6994 with your insurance information and we will verify your acupuncture health benefits and get you booked for your first appointment! Expert pulse assessment to discover hidden imbalances in the energy system of each individual. We personalize each herbal prescription to maximize your health. from a natural healing perspective.